I'll be traveling back to PA today to spend time with my dear friend Mary Jane. Since I'll be enjoying myself, I thought you may want to enjoy lusting after these beautiful Hoffman Fabrics and enter for your chance to win one of these 3 bundles. 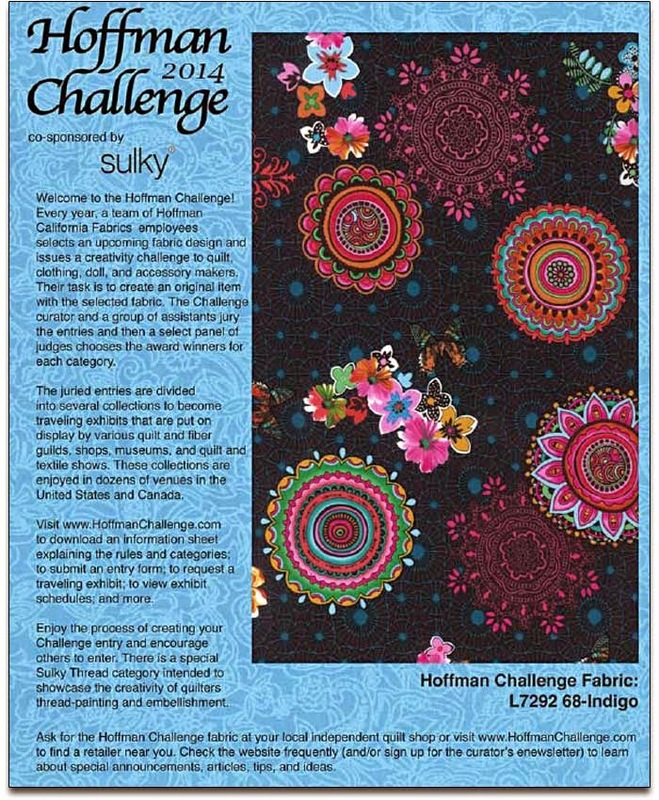 This is the brochure for the challenge and you can read more on the Hoffman Fabric Website. This is the bundle that I'll be parting with...so vibrant and lush. Not only would Suzy's Christmas make a fun table runner, I think it would make a great Christmas quilt for any young child. How to win? Check out the Rafflecopter Widget below...I will ask the winners to pay for shipping so if you are not willing to pay for shipping, please do not enter. I was responsible recently to do a presentation at the Black Swamp Quilt Guild. The topic was Creative Borders, Creative Sashing, Mitered Corners and Binding. My part of the presentation was binding. All Quilts Shown in this post were made by Mary Jane Ehlich, my very dear friend, teacher and mentor. Binding, why does it trouble people so? I've heard many folks say that they hate binding....and for the life of me I don't know why......for me, that is the easiest part. I love, love, love every stitch that I put in by hand because it is my way of saying goodbye to the quilt....it is the finishing...the end. Kelly’s note: I cut my binding 2 ½ “ wide and I always cut my fabric on the bias for quilts. Below you will find some helpful resources that include a variety of ways to cut your fabric on the bias. Note some people prefer to cut their fabric 2 ¼” and for smaller quilts they may cut their binding even smaller. 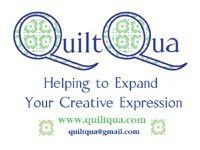 Below you will find a variety of tutorials and information about binding traditional quilts as well as art quilts. This site also links to several interesting tutorials for projects. Julie Herman, Jay Bird Quilts, has several excellent tutorials on her blog for a variety of binding techniques. Her book, Skip the Borders, is also an excellent resource on the subject of binding quilts. Machine stitch the binding to the front of the quilt and turn the binding to the back and hand stitch the binding down. Machine stitch the entire binding to a quilt, using a straight stitch or using a wave stitch (Bernina stitch #4) to catch both front and back of binding. These can be cute on baby quilts. 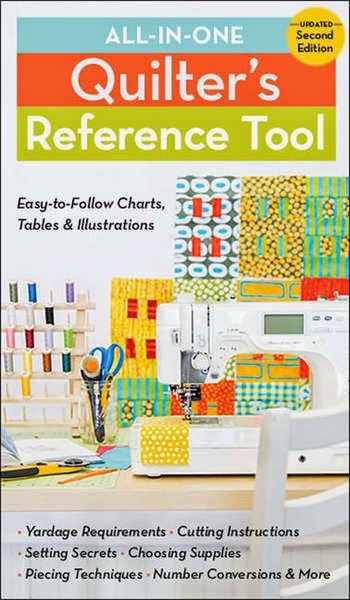 PDF: "How To Bind A Quilt: 12 New Quilt Binding and Finishing Methods for Your Art Quilts"
I'm so very proud to be among Mary Jane's friends and the only purpose for adding these photos to this post was for pleasure. I hope you have enjoyed. One of the best books you can buy for yourself or a friend....it will tell you everything you need to know guaranteed!!! I hope you have enjoyed this page, please refer to it as often as you like and bookmarking it will assure you know where to come back to for all the latest and best binding tips, tutorials, and tools. Back to Virginia.....by way of Rwanda....sort of.....these are not real spears used to catch dinner, rather decorative spears and they grabbed my attention while at Beth's house. Aren't they neat? Imagine my delight when "that girl who can COOK" served a South African Bobotie (Bob-boo-tie) for dinner last Thursday evening. This was my first experience with African food and it was amazingly delicious. Malva Pudding was served for desert. After such a delicious dinner I was so very tempted to stand and shake my bah-boo-tie! I felt so very spoiled, not only by the food, the surrounds but also the amazing company I was enjoying. Frank, Beth's husband, has been making his own knives and I must say they were a bit scary to see at first (I didn't know he made knives when I first saw them). They grab your attention don't they? When I learned Frank made these knives I took the time to look over the craftsmanship and they are absolutely beautiful knives. A house full of creative energy....yep....absolutely full. I left Friday early afternoon to travel to Virginia for my Wonder Woman Weekend and on the way I stopped at Jinny Beyer's Studio. I asked and was given permission to take these photographs....enjoy! Imagine several of these shelves full of Jinny Beyer fabrics.....yes and I was fortunate enough to be standing within arms reach of every last bolt. I behaved myself....only because I didn't want to have to unload the entire shop into my housed...LOL. This handy tool allows you to find proportions without doing the math.....spanky indeed :) Impressive gadget and I'm so glad no one asked me to develop that tool....you'd still be waiting. The sky was very different than the day before....the clouds were just beautiful. It was only a 45 minute drive from Leesburg, VA to the Bolger Center in Maryland where my weekend would begin. I passed some houses that looked like a small nation could live comfortably inside and the one below made me stop my car and get out for a photograph. This will be someone's home....the large window in front brought a wee bit of envy....but now the housework that will need to take place to keep that home up....well....lets just say I'm so pleased it does not belong to me! If they plan to plant grass on that hill....you know I'd be laughing until I leaked watching someone mow that....better to plant some of that crazy growing ivy and leave well enough alone. My first time to the Bolger Center and I was pleasantly surprised by all the lovely gardens and patios. The rooms were very nice and the food was plentiful and delicious as well. The weekend was all I needed it to be and more. A wee bit of digression: When my mother passed last year I knew I needed to find a time and place to get away to recenter myself and I wanted to spend some time with with someone or some people that I admired and respected. There could be no sewing....this was going to be "soul time" for me. Time to BE and not DO....know what I mean? That's when I learned about Iyanla's Wonder Woman Weekend and I immediately signed up. I was filled with anticipation and excitement and could hardly wait for my weekend in October 2013 to come. Life did what life does....a week before my trip a nasty black rug reached up and grabbed me causing my left foot to dangle from the bottom of my leg....it was U G L Y. I told the folks at Iyanla's Institute to hold on to my money because the first chance I got to attend the weekend in Virginia....I'd be there. At Beth's invitation, I returned to her home for Sunday evening to rest before making the 7 hour drive on Monday morning. She is one smart girl because I really did need that rest and having more time with she and Frank, well....lets just say I was like a pig in mud. This was a gift from a friend that Beth framed, it is a landscape of Africa. Ummmmm, yummy isn't it? The right side of Beth's studio....pretty darn inviting I have to say. I'd love to have been able to stay and stitch for at least a week if not a month....my co-workers were waiting and I wanted and needed to get back to IHAN® Headquarters. I'm here now.....just in case you were wonderin'. Yep, that's what I have to say about going to Virginia and Maryland this past weekend, "Ahhhhh." Possibly preceded by a "Ohhhhh Ahhhhhh." Driving out of Ohio on Thursday, I said to myself, "It is raining giraffes and elephants out here." The heavy rain came down with an urgency and there were some cars and trucks pulled off to the side of the road for a period of time. I pressed on through those large animal size rain drops because I had an agenda. The view outside the car was lush and beautiful from Ohio to Leesburg, VA. Yes, I do hold my phone up without looking and snap photos of what I'm passing....will ya look at those clouds....they look so very pregnant. We live in a country that is so very abundant with beauty. Fortunately, I live in a community, the quilting community, that is also so very abundant with beauty :) Before and after going to the Wonder Woman Weekend hosted by Iylana Vanzant, I stayed with a blogging friend, Beth Hunter. She and I met blogging while she lived in South Africa. Many of you know on the top of my bucket list is going to Africa so there was a natural attraction to hearing about Beth's life while she lived in South Africa. The bed I slept in. The wall hanging I looked at while laying in that beautiful bed. The jacket pictured below was made by Beth's Mother (wildly wonderful, creative, artistic and colorful) who now lives without her earthly body. This is not the only stitching either...there was lots of beautiful stitching. Beth comes by her talent and creativity naturally. The "H" above was not done by an embroidery machine, nope! Beth thread painted that piece....I just love it. Hand pieced and quilted by Beth....breath taking isn't it?